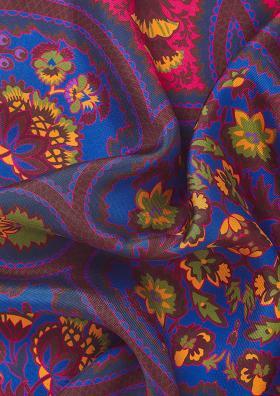 There’s an art to dressing for Summer; rising temperatures, the panoply of colours and a confusion of fabrics can make choosing warm weather clothes a chore. So, in an attempt to lighten your load this season, we’ve worked hard to create an easy-to-put-together New & Lingwood collection that is as comfortable to wear as it is stylish. 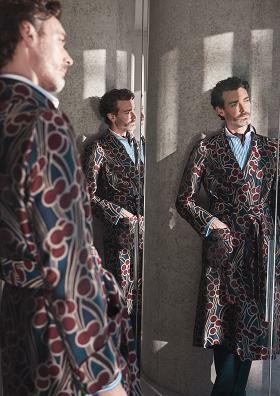 Drawing inspiration from the understated style of the French Riviera, and the casual sophistication of clothes in the The Talented Mr Ripley, a classic nautical theme runs through our collection. Burgundy, navy and cream are accented with pops of mustard, powder blue and sage green. 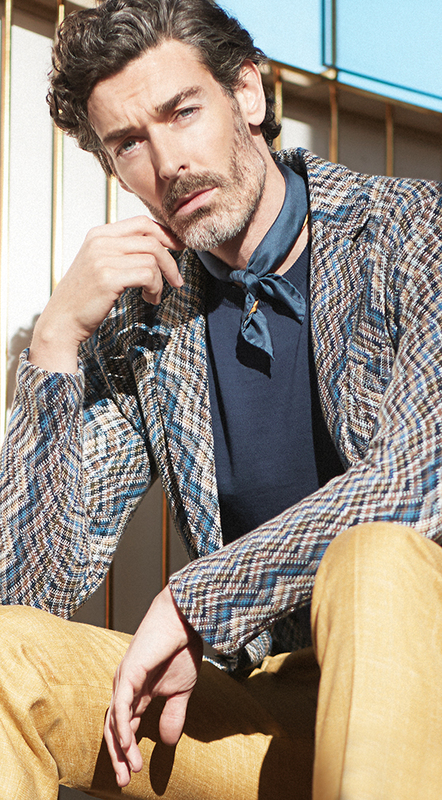 New & Lingwood’s house style remains an English structured jacket, but to keep you cool in the heat of Summer, we’ve introduced a softer tailored construction for relaxed elegance. 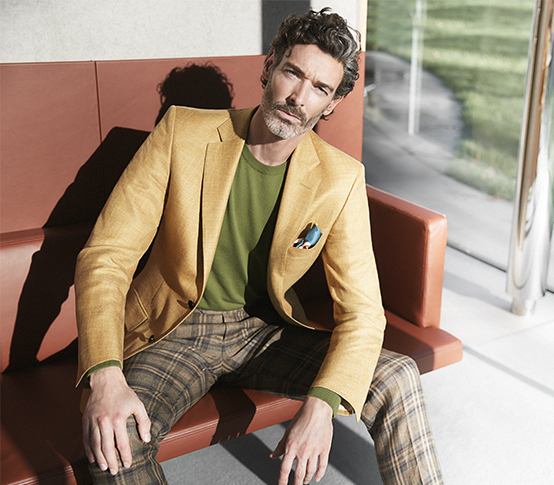 The Larch houndstooth jacket and Ely mustard mélange jacket are perfect examples; cut in the very finest wool, silk and linen blend with a breezy handle. We’re also offering deconstructed jackets for customers who like to feel as relaxed yet sharp in the warmest of climes. Standout pieces include our Douglas and Appleton jackets; both are available in crisp checked designs. 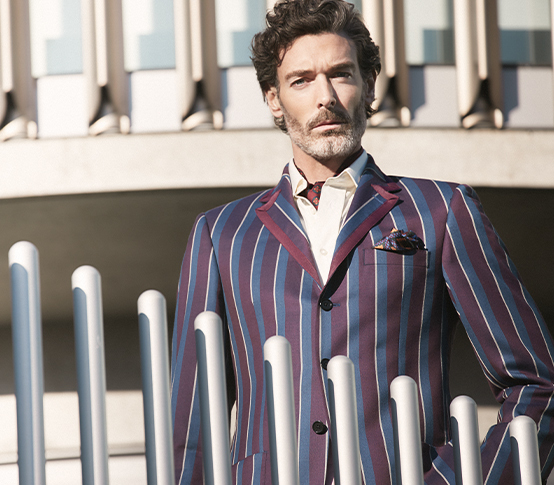 Elsewhere, our separates mix confident colours with softly textured fabrics; the Poplar silk herringbone blazer in a fuchsia and royal blue is a handsome choice for Summer parties, while our Newton boating blazer is cut in a fine worsted Fox Brothers’ boating stripe that juxtaposes burgundy, navy and ecru for an understated take on a Season staple. As always, this season’s stretch-cotton chinos are natural partners to our jackets and knitwear, but we’re also offering more formal trousers in luxurious plain and checked linens, and a lightweight traditional tartans too. If you need the perfect pair for travel, the Tolpuddle is just the thing; available in dark navy or dove grey fresco (the original that’s, woven in Huddersfield, England) either in a plain flat front or with forward facing pleats, a tip pocket at the waist and belt loops. They’re finished with two-inch turn-ups that add a sophisticated edge to a Summer look. 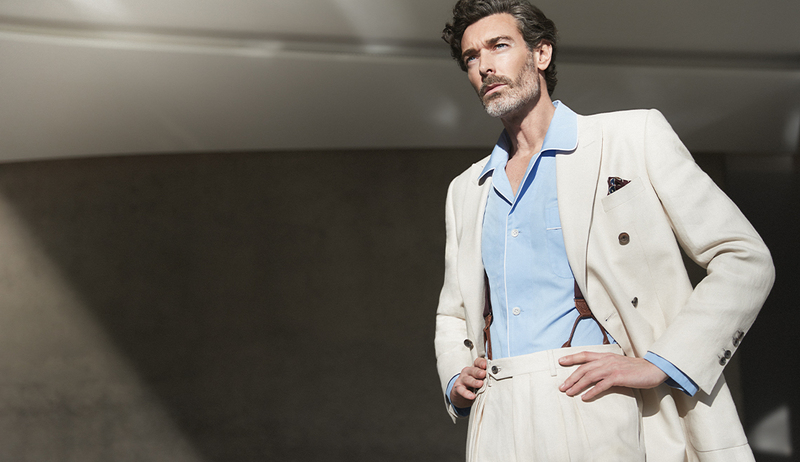 The Cowdray double-breasted linen suit is one of this season’s essential pieces, with patch pockets and half-lined to keep you cool. Again, the trousers are cut with pleats and a straight leg, which lends a nonchalant chic to the whole. The Cowdray is also available in mid-blue. 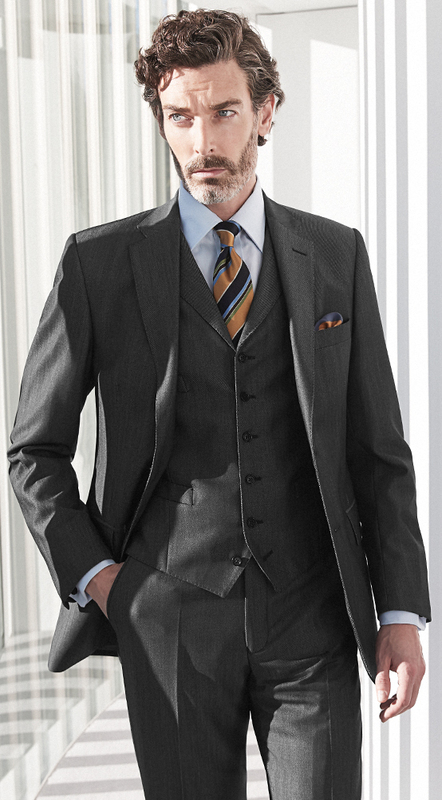 This season’s suiting maintains our classic English styling, fashioned in the very best warm weather fabrics. Alongside sharp navy and grey suiting, the Burnham suit is cut in a newly created worsted wool denim for something a little different. It’s polished, yet distinctive, and looks sharp styled conventionally with a mid-blue shirt and striped tie, to let the cloth’s subtle surface texture come to the fore. Alongside superfine cotton and linen shirts, our knitwear offers plenty of layering options for Spring; including fine Egyptian cotton crewnecks, cable-knit cricket jumpers, and linen cardigans which are hand-framed in Ireland. 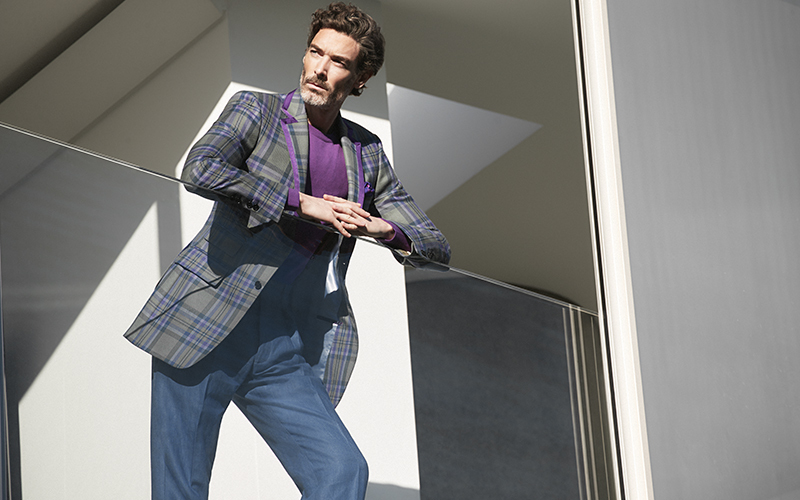 For something a little different, our colourful yet versatile flame-stitch knitted jacket is half-blazer, half-cardigan – just the thing to layer over your sweater or polo on cool summer evenings. That’s about all there is to it, really. 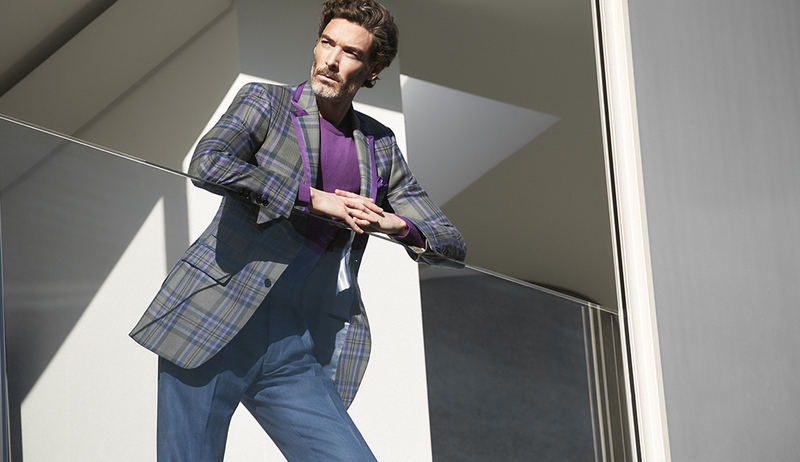 Whether tartan trews, lightweight chinos, sleek separates or a sharp business suit, New & Lingwood’s Spring Summer ’19 collection is designed with the well-dressed modern man in mind. Ripley would surely approve.